At its Spring meeting on March 22, 2014, the NYSPA Council awarded the NYSPA Distinguished Service Award to C. Deborah Cross, M.D. in recognition of her dedication, prodigious effort, intelligence and leadership in the profession of Psychiatric Medicine nationally and in the State of New York. Dr. Cross has been an active and enthusiastic member of NYSPA for many years, serving two terms as NYSPA President and currently serving as Chair of the NYSPA Public Affairs Committee and Chair of the NYSPA Nominating Committee. 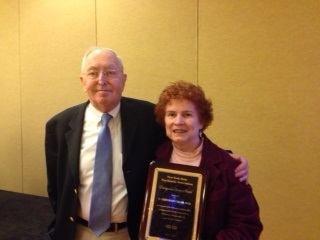 Dr. Cross is currently an AAOL Representative to the Assembly and is a past recipient of the Ronald A. Shellow Award. Since 2002, Dr. Cross has been a member of the NYS Board of Professional Medical Conduct Advisory Committee. NYSPA congratulates her on this special recognition.